This article is about Asura in Hindu mythology. For other uses, see Asura (disambiguation). The bas-relief of Samudra manthan from Angkor Wat, Cambodia, shows Vishnu in the center, in his Kurma avatar, with the asuras and the devas on either side. See an annotated version in the Wikimedia Commons. Asuras (Sanskrit: असुर) are mythological lord beings in Indian texts who compete for power with the more benevolent devas (also known as suras). Asuras are described in Indian texts as powerful superhuman demigods or demons with good or bad qualities. The good Asuras are called Adityas and are led by Varuna, while the malevolent ones are called Danavas and are led by Vritra. In the earliest layer of Vedic texts Agni, Indra and other gods are also called Asuras, in the sense of them being "lords" of their respective domains, knowledge and abilities. In later Vedic and post-Vedic texts, the benevolent gods are called Devas, while malevolent Asuras compete against these Devas and are considered "enemy of the gods" or demons. Asuras are part of Indian mythology along with Devas, Yakshas (nature spirits) and Rakshasas (ghosts, ogres), and Asuras feature in one of many cosmological theories in Hinduism. Monier-Williams traces the etymological roots of Asura (असुर) to Asu (असु), which means life of the spiritual world or departed spirits. In the oldest verses of the Samhita layer of Vedic texts, the Asuras are any spiritual, divine beings including those with good or bad intentions, and constructive or destructive inclinations or nature. In later verses of the Samhita layer of Vedic texts, Monier Williams states the Asuras are "evil spirits, demons and opponents of the gods". Asuras connote the chaos-creating evil, in Hindu and Persian (Arians) mythology about the battle between good and evil. Bhargava states the word, Asura, including its variants, asurya and asura, occurs "88 times in the Rigveda, 71 times in the singular number, four times in the dual, 10 times in the plural, and three times as the first member of a compound. In this, the feminine form, asuryaa, is included twice. The word, asurya, has been used 19 times as an abstract noun, while the abstract form asuratva occurs 24 times, 22 times in each of the 22 times of one hymn and twice in the other two hymns". Asura is used as an adjective meaning "powerful" or "mighty". In the Rigveda, two generous kings, as well as some priests, have been described as asuras. One hymn requests a son who is an asura. 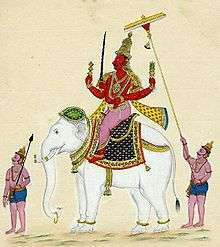 In nine hymns, Indra is described as asura. 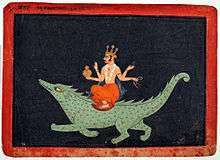 Five times, he is said to possess asurya, and once he is said to possess asuratva. Agni has total of 12 asura descriptions, Varuna has 10, Mitra has eight, and Rudra has six. Bhargava gives a count of the word usage for every Vedic deity. The Book 1 of Rig Veda describes Savitr (Vedic solar deity) as an Asura who is a "kind leader". May he, gold-handed Asura, kind leader, come hither to us with his help and favour. Driving off Raksasas and Yatudhanas, [he] the god is present, praised in hymns at evening. for the deity, if worshipped in the evening, is at hand, driving away Rakshasas and Yatudhanas. In later texts, such as the Puranas and the Itihasas with the embedded Bhagavad Gita, the Devas represent the good, and the Asuras the bad. According to the Bhagavad Gita (16.6-16.7), all beings in the universe have both the divine qualities (daivi sampad) and the demonic qualities (asuri sampad) within each. The sixteenth chapter of the Bhagavad Gita states that pure god-like saints are rare and pure demon-like evil are rare among human beings, and the bulk of humanity is multi-charactered with a few or many faults. According to Jeaneane Fowler, the Gita states that desires, aversions, greed, needs, emotions in various forms "are facets of ordinary lives", and it is only when they turn to lust, hate, cravings, arrogance, conceit, anger, harshness, hypocrisy, cruelty and such negativity- and destruction-inclined that natural human inclinations metamorphose into something demonic (Asura). Asko Parpola traces the etymological root of Asura to *asera- of Uralic languages, where it means "lord, prince". Scholars have disagreed on the nature and evolution of the Asura concept in ancient Indian literature. The most widely studied scholarly views on Asura concept are those of FBJ Kuiper, W Norman Brown, Haug, von Bradke, Otto, Benveniste, Konow, Rajwade, Dandekar, Darmesteter, Bhandarkar and Raja, Banerji-Sastri, Padmanabhayya, Skoeld, SC Roy, Coomaraswamy, Shamasastry, Przyluski, Schroeder, Burrows, Hillebrandt, Taraporewala, Lommel, Fausboll, Segerstedt, Thieme, Gerschevitch, Boyce, Macdonnell, Hermann Oldenberg, Geldner, Venkatesvaran, and Jan Gonda. Kuiper calls Asuras a special group of gods in one of major Vedic theories of creation of the universe. Their role changes only during and after the earth, sky and living beings have been created. The sky world becomes that of Devas, the underworld becomes that of Asuras. Deity Indra is the protagonist of the good and the Devas, while dragon Vrtra who is also one of asuras is the protagonist of the evil. During this battle between good and evil, creation and destruction, some powerful Asuras side with the good and are called Devas, other powerful Asuras side with the evil and thereafter called Asuras. This is the first major dualism to emerge in the nature of everything in the Universe. Hale, in his review, states that Kuiper theory on Asura is plausible but weak because the Vedas never call Vrtra (the central character) an Asura as the texts describe many other powerful beings. Secondly, Rigveda never classifies Asura as "group of gods" states Hale, and this is a presumption of Kuiper. Many scholars describe Asuras to be "lords" with different specialized knowledge, magical powers and special abilities, which only later choose to deploy these for good, constructive reasons or for evil, destructive reasons. The former become known as Asura in the sense of Devas, the later as Asura in the sense of demons. Kuiper, Brown, Otto and others are in this school; however, none of them provide an explanation and how, when and why Asura came ultimately to mean demon. 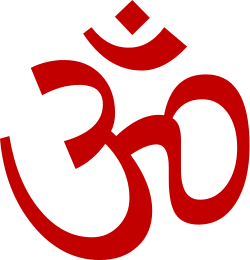 Ananda Coomaraswamy suggested that Devas and Asuras can be best understood as Angels-Theoi-Gods and Titans of Greek mythology, both are powerful but have different orientations and inclinations, the Devas representing the powers of Light and the Asuras representing the powers of Darkness in Hindu mythology. According to Coomaraswamy, "the Titan [Asura] is potentially an Angel [Deva], the Angel still by nature a Titan" in Hinduism. In the 19th century, Haug pioneered the idea that the term Asura is linguistically related to the Ahuras of Indo-Iranian people and pre-Zoroastrianism era. In both religions, Ahura of pre-Zoroastrianism (Asura of Hinduism), Vouruna (Varuna) and Daeva (Deva) are found, but their roles are on opposite sides. That is, Ahura evolves to represent the good in pre-Zoroastrianism, while Asura evolves to represent the bad in Vedic religion, while Daeva evolves to represent the bad in pre-Zoroastrianism, while Deva evolves to represent the good in Vedic religion. This contrasting roles have led some scholars to deduce that there may have been wars in proto-Indo-European communities, and their gods and demons evolved to reflect their differences. This idea was thoroughly researched and reviewed by Peter von Bradke in 1885. The relationship between ahuras/asuras and daevas/devas in Indo-Iranian times, was discussed at length by F.B.J. Kuiper. This theory and other Avesta/Assyrian-driven hypotheses developed over the 20th century, are all now questioned particularly for lack of archaeological evidence. Asko Parpola has re-opened this debate by presenting archaeological and linguistic evidence, but notes that the links may go earlier to Uralic languages roots. Some scholars such as Asko Parpola suggest that the word Asura may be related to proto-Uralic and proto-Norse history. The Aesir-Asura correspondence is the relation between Asura of Vedic Sanskrit to Æsir, an Old Norse that is – old German and Scandinavian – word, and *asera or *asira of proto-Uralic languages all of which mean "lord, powerful spirit, god". Parpola states that the correspondence extends beyond Asera-Asura, and extends to a host of parallels such as Inmar-Indra, Sampas-Stambha and many other elements of respective mythologies. The concept of Asura-Devas migrated from India to southeast Asia in 1st millennium CE. Above Vayuphak Asura, from the Hindu epic Ramayana, represented in Thailand. All powerful beings, good or evil, are called Asuras in the oldest layer of Vedic texts. A much studied hymn of the Rigveda states Devav asura (Asuras who have become Devas), and contrasts it with Asura adevah (Asuras who are not Devas). Each Asura and Deva emerges from the same father (Prajapati), share the same residence (Loka), eat together the same food and drinks (Soma), and have innate potential, knowledge and special powers in Hindu mythology; the only thing that distinguishes "Asura who become Deva" from "Asura who remain Asura" is intent, action and choices they make in their mythic lives. "Asuras who remain Asura" share the character of powerful beings obsessed with their craving for ill gotten Soma and wealth, ego, anger, unprincipled nature, force and violence. Further, when they lose, miss or don't get what they want because they were distracted by their cravings, the "Asuras who remain Asuras" question, challenge and attack the ""Asuras who become Devas" to loot and get a share from what Devas have and they don't, in Hindu mythology. The hostility between the two is the source of extensive legends, tales and literature in Hinduism; however, many texts discuss their hostility in neutral terms and without explicit moral connotations or condemnation. Some of these tales are the basis for myths behind major Hindu Epics and annual festivals, such as the story of Asura Ravana and Deva Rama in the Ramayana and the legend of Asura Hiranyakashipu and Deva Vishnu as Narasimha, the latter celebrated with the Hindu spring festival of Holika and Holi. Edelmann and other scholars state that the dualistic concept of Asura and Deva in Hinduism is a form of symbolism found throughout its ancient and medieval literature. In the Upanishads, for example, Devas and Asuras go to Prajāpati to understand what is Self (Atman, soul) and how to realize it. The first answer that Prajāpati gives is simplistic, which the Asuras accept and leave with, but the Devas led by Indra do not accept and question because Indra finds that he hasn't grasped its full significance and the given answer has inconsistencies. Edelmann states that this symbolism embedded in the Upanishads is a reminder that one must struggle with presented ideas, learning is a process, and Deva nature emerges with effort. Similar dichotomies are present in the Puranas literature of Hinduism, where god Indra (a Deva) and the antigod Virocana (an Asura) question a sage for insights into the knowledge of the self. Virocana leaves with the first given answer, believing now he can use the knowledge as a weapon. In contrast, Indra keeps pressing the sage, churning the ideas, and learning about means to inner happiness and power. Edelmann suggests that the Deva-Asura dichotomies in Hindu mythology may be seen as "narrative depictions of tendencies within our selves". Asuri is the feminine of an adjective from asura and in later texts means belonging to or having to do with demons and spirits. Asuri parallels Asura in being "powerful beings", and in early Vedic texts includes all goddesses. 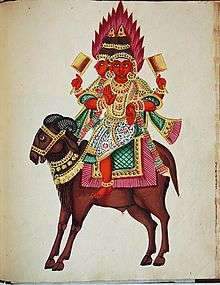 The term Asuri also means a Rakshasi in Indian texts. The powers of an Asuri are projected into plants offering a remedy against leprosy. First, before all, the strong-winged Bird was born, thou wast the gall thereof. Conquered in fight, the Asuri took then the shape and form of plants. The Asuri made, first of all, this medicine for leprosy, this banisher of leprosy. She banished leprosy, and gave one general colour to the skin. In Book 7, Asuri is a powerful female with the special knowledge of herbs, who uses that knowledge to seduce Deva Indra in Atharva Veda. A hymn invokes this special power in Asuri, and this hymn is stipulated for a woman as a charm to win over the lover she wants. That bids the parting friend return and kindly greets him as he comes. With this same Herb I draw thee close that I may be most dear to thee. The peer of all the Gods art thou: therefore we call thee hitherward. I am the speaker here, not thou: speak thou where the assembly meets. Thou shalt be mine and only mine, and never mention other dames. This Herb shall seem to bind thee fast and bring thee back my prisoner. Similarly, in the Atharva Veda, all sorts of medical remedies and charms are projected as Asuri manifested in plants and animals. Asuri Kalpa is an abhichara (craft) which contains various rites derived from special knowledge and magic of Asuri. Indra, Vedic god, leader of the Devas on heavenly planets, in nine Vedic hymns is glorified as 'asura'. According to the Vishnu Purana, during the Samudra manthan or "churning of the ocean", the daityas came to be known as asuras because they rejected Varuni, the goddess of sura "wine", while the devas accepted her and came to be known as suras. Alain Daniélou states that Asuras were initially good, virtuous and powerful in Indian mythology. However, their nature gradually changed and they came to represent evil, vice and abuse of power. In Shiva Purana, they evolved into anti-gods and had to be destroyed because they threatened the gods. The asuras (anti-gods) were depicted to have become proud, vain, to have stopped performing sacrifices, to violate sacred laws, not visit holy places, not cleanse themselves from sin, to be envious of devas, torturous of living beings, creating confusion in everything and challenging the devas. Alain Daniélou states that the concept of asuras evolved with changing socio-political dynamics in ancient India. Asuras gradually assimilated the demons, spirits, and ghosts worshipped by the enemies of Vedic people, and this created the myths of the malevolent asuras and the rakshasa. The allusions to the disastrous wars between the asuras and the suras, found in the Puranas and the epics, may be the conflict faced by people and migrants into ancient India. Asuras (Tib: lha ma yin, Chi: Axiuluo, Jap: Ashura) are a type of supernatural being (anti-gods, demigods or non-god titans) in traditional Buddhist cosmology and a realm of rebirth based on one's karma in current or past lives. They are described in Buddhist texts as creatures who live in lower levels of mount Sumeru, obsessed with sensuous aspects of existence, living with jealousy and endlessly engaged in wars against the creatures who are Devas (gods). As Buddhism spread into East Asia, the Asura concept of Indian Buddhism expanded and integrated local pre-existing deities as a part of regional Buddhist pantheon. ↑ F.B. J.Kuiper, Ancient Indian Cosmogony, Bombay 1983, ISBN 0706913701. 1 2 3 Alain Daniélou (1991). The Myths and Gods of India: The Classic Work on Hindu Polytheism from the Princeton Bollingen Series, pp. 141–142. Inner Traditions / Bear & Co. ISBN 0892813547. ↑ Norman C. McClelland (2010). Encyclopedia of Reincarnation and Karma. McFarland. pp. 32–34, 136. ISBN 978-0-7864-5675-8. 1 2 Robert E. Buswell Jr.; Donald S. Lopez Jr. (2013). The Princeton Dictionary of Buddhism. Princeton University Press. p. 76. ISBN 978-1-4008-4805-8. Wikimedia Commons has media related to Asuras.